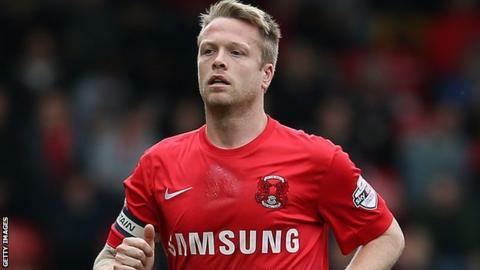 Leyton Orient captain Nathan Clarke says he knows what to expect in the second leg of the League One play-off semi-final with Peterborough United. During the 30-year-old centre-half's 11-year spell at Huddersfield Town, the Terriers were involved in six play-off campaigns, emerging victorious twice. After Orient host Peterborough on Tuesday. *only played a part in 2006 and 2010 play-offs. "I've tried to talk with lads that have not been involved in these games before so they know what to expect," he said. "Personally, I think it's brilliant, exciting and great to be involved in." Clarke is in his second season at Brisbane Road, and in February. He has been an ever-present this term as the O's ended the regular season third, 12 points clear of Tuesday night's opponents. Should the east London side secure promotion to the second tier, it will end a 32-year spell away. "It's not just me, we have a fair amount of players who have experienced the joy and heartache of the play-offs," Clarke told BBC London 94.9. "I think that helps. Hopefully we can draw on that experience. "Personally, I'd be very proud to lead the team out for a final at Wembley. Obviously you think about it, but we're absolutely focussed on the semi."